Welcome at Hotel Greenside, an intimate 4-star Hotel with an unequalled island atmosphere located in De Koog in North Holland in the Netherlands. 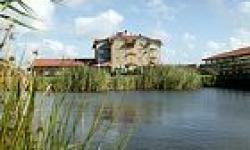 Hotel Greenside will surprise you with its Texel?s hospitality and comfort. The rest and Space so typical of the island have been woven into the Hotel?s ambiance. Staying at Hotel Greenside means absolute enjoyment in De Koog. Try our culinary dishes made with local products, relax in our attractive interior and experience the luxury of a very Spacious room. Spend the night - These Spacious rooms are modern and tastefully decorated. Relax in the separate sitting area. Enjoy the luxury of a mini-bar, wireless internet, a bathtub, and a private balcony or terrace. Our suites are also equipped with an LCD television with a DVD player and an espresso machine. The comfortable beds guarantee a healthy night?s sleep. A Spacious room with air-conditioning. The separate living area is attractively furnished. You may like to read, watch TV or use the wireless internet in the privacy of your own room. An extremely Spacious room equipped with air-conditioning. The Grand Suite is ideal for a luxurious, relaxing stay in Texel. The living- and sleeping areas are stylishly separated. The Spacious rooms are modern and tastefully decorated. Relax in the separate sitting area. Enjoy the luxury of a mini-bar, wireless internet, a bathtub, and a private balcony or terrace. Our suites are also equipped with an LCD television with a DVD player and an espresso machine. The comfortable beds guarantee a healthy night?s sleep. A feeling of ?being at home? pervades the Grand Café. Have a cup of coffee while sitting at the reading table, relax after a day of beachcombing or enjoy a drink with family and friends. We can provide accommodation for business events such as seminars, meetings and training sessions. Delicious lunches and dinners together with a relaxing night?s sleep complement your business event on Texel. Together with sport and cultural partners, Greenside organises complete (day) programmes made to fit your wishes. Our rooms form the perfect setting for family dinners, Weddings and other parties or celebrations. Experience complete relaxation for body and mind in our relaxation rooms. The Sauna, Turkish Baths and hydrojet are refreshing and relaxing. The solarium wraps you in salutary warmth and gives you a tan even when the sun is not shining.